The 1.85 mm connector is a pin and socket type connector that uses an air dielectric filled interface that assures mode free operation up to 65 GHz. It is also known as the Type V connector. Some manufacturers have demonstrated performance up to 67 GHz. The design has been introduced as an open standard under the IEEE 287 Precision Connector Standards Committee. 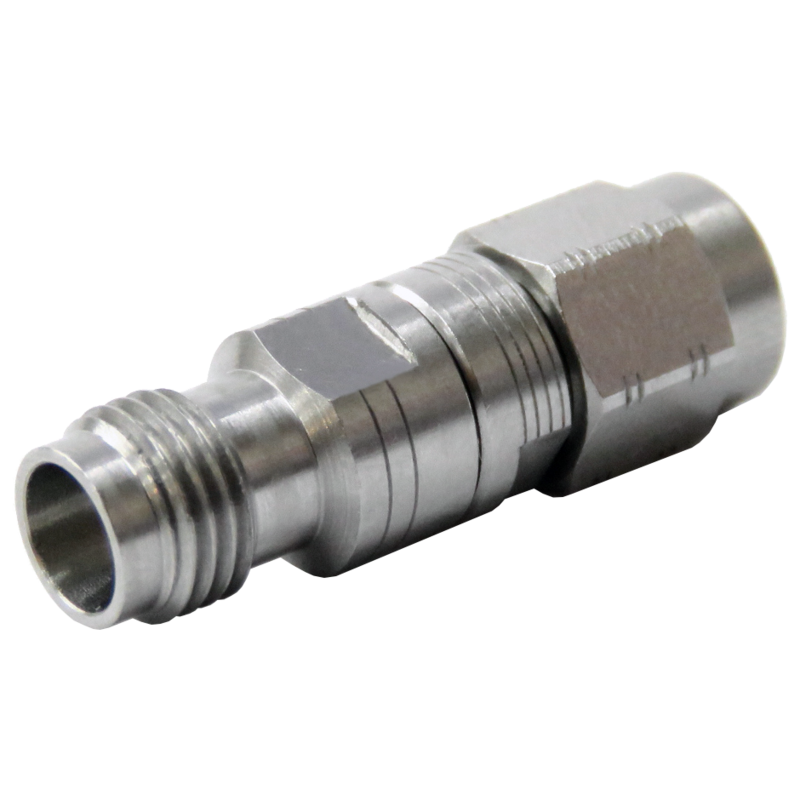 The 2.92 mm connector is a pin and socket type connector that uses an air dielectric filled interface that assures mode free operation up to 40 GHz. It is also known as the Type K connector. The connector interfaces mechanically with 3.5 mm and SMA connectors, however the junction introduces a discontinuity which must be accounted for. Huang Liang is a manufacturer of coaxial connectors, adapters and cable assemblies. The company provide solutions to different industries including military, telecommunication and aerospace. Over 30 years of experiences in developing and designing RF products, Huang Liang has overcome many challenges with our expertise on RF field. Huang Liang has a professional engineering team which enables its clients to get timely advice and provide mechanical and electrical support.